Massachusetts residents who suffer from drug and alcohol addiction deserve every opportunity to get back on their feet and begin a promising life of sobriety. Substance abuse is certainly no laughing matter, and it takes an immense amount of willpower to strive for sober-living. The recovery process begins once you have mustered enough courage to aspire for sober-living. If you want to be in the company of individuals who fiercely advocate Massachusetts sober living, look no further than Rise Above. Our tightly knit community promotes MA sober living and is willing to help anyone who wishes to walk away from the self-destructive nature of addiction. Given the abundance of temptation and the constant threat of withdrawal, the journey toward Massachusetts sober living could potentially be a bumpy one. At Rise Above, we are absolutely determined to help you adjust to sobriety as easily as possible. For one, we have the necessary facilities to house individuals who simply want to experience sober living for good. On top of that, we have dedicated and compassionate staff members who are highly knowledgeable about what it takes to achieve sober living. Click here to learn more about Massachusetts sober living. Our recovery homes are conveniently situated in the Southern New Hampshire and Greater Boston regions. The homes we offer are gender-specific and structured in a way that is conducive to sobriety. Best of all, our clean living spaces are competitively priced, which means that you won’t have to spend a fortune on your journey toward a sober life. The welcoming atmosphere at Rise Above is one of the main reasons why we are one of the most preferred facilities among recovering individuals who need to get sober. Also, we have community guidelines in place to ensure that that the tranquility our residents enjoy is not disrupted. You even have the option of staying as long as you want, provided that you do not violate any of our guidelines. Active and wholehearted participation in our weekly meetings will definitely aid your commendable pursuit of sobriety. 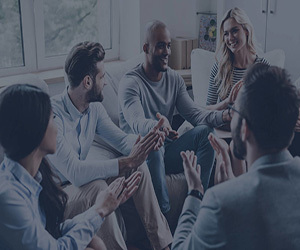 Our staff members facilitate these meetings with the goal of encouraging residents to share the progress of their recovery and inspire others in the process. What makes our staff members truly special is that they have also battled substance abuse at some point in their lives. Their successful transition from addiction to sober living could serve as a source of motivation for our residents who wish to follow in their footsteps. The decision to pursue sobriety is nothing short of admirable, and Rise Above is fully committed to be by your side every step of the way. You can expect our full and enthusiastic support throughout the duration of your stay in our facility. Achieving total sobriety is not an effortless process that happens overnight. Although the road to sober living may be long and winding, you can find the encouragement and inspiration you need from your family here at Rise Above. Reach out to us today! Click here to learn more about MA sober living and your path to getting sober.